COMMENT: Is the iPhone bad for entertainment? 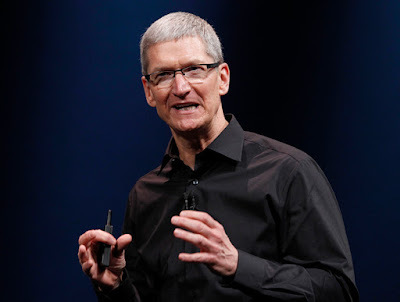 Last month, Tim Cook held one of Apple's special keynote events to reveal the latest device in the iPhone series. It was not a full "next iPhone" reveal in that we're still expecting an iPhone 7, which will probably appear later this year. This was more in line with the iPhone 5C announcement, which effectively offered consumers a cheaper alternative to the iPhone 5 (their gold standard at the time). The announcement was the iPhone SE, billed as "a big step for small." Tim Cook began the keynote with a few words about looking to the past, and that's exactly what the iPhone SE does. More specifically, it reverts to the 4-inch display size we saw with the iPhone 5, just a couple years after Apple made such a splash in upsizing to the iPhone 6 and 6 Plus's larger displays. It's actually a very logical step for the company to take, allowing its customers the chance to choose the size of their phones, rather than be swept up in whatever the latest trend is in the industry. A lot of Apple customers actually preferred the iPhone 5 display to that of the 6 or 6 Plus. It follows that there will probably be a lot of customers who are perfectly happy to pick up the SE. However, for those who have already adapted to the 6 or 6 Plus, one important question could wind up being a problem for Apple: is the SE bad, by comparison, for entertainment? Specifically, this question applies to content streaming and video games, both of which account for a great deal of activity on modern smartphones. Where video streaming is considered, it simply stands to reason that a larger screen offers a more satisfying experience. ACNET review of the iPhone 6 theorised that users would find the 4.7-inch display to be the "right balance between functionality and portability," and that pretty much gets to what a lot of people liked about the phone. Yes, it was a little big for those who'd gotten used to smaller screens on previous iPhones, but it wasn't so big as to be inconvenient, and the functionality of the larger screen was excellent. This was as apparent when streaming videos as with any other activity. The issue may be even more apparent when it comes to gaming, where a lot of developers have made a point of taking advantage of large and highly capable smartphone screens. In some cases, these games have reached an almost-cinematic quality, which makes them not so different from video streaming in the context of this conversation. Gala's mobile app is one that comes to mind in this regard, as the company has taken steps to put "live dealers in the palm of your hand," using streams of real, human dealers in various casino games. Such an experience is simply more enjoyable on a larger screen. Meanwhile, there are also a lot of popular app games that are actually designed or optimised specifically for the iPhone 6 and 6 Plus. For instance, EpicGames, Inc.'s Epic Zen Garden was built largely to take advantage of visual quality, rather than just for gameplay. None of this is to suggest that the iPhone SE doesn't have some appeal, or even that its display will be anything less than stunning. Apple is not in the habit of making inadequate devices, and it's a safe bet that the SE will be as impressive as a 4-inch screen smartphone can be. But taking into account basic streaming activity and some of the examples discussed above, there may not be an inherent problem among those who use their phones for entertainment. By getting consumers used to the larger screens of the iPhone 6 and 6-Plus, Apple may have inadvertently made smaller screens inadequate, no matter how well the phones perform.